Taste the famous ’900 cake on the Lungo Dora in Ivrea, stroll through a labyrinth, visit ancient sumptuous apartments, have lunch with typical products overlooking the lake, discover how to make the Passito di Caluso wine The Castle of Masino, for centuries the residence of the Valperga Counts of Masino, is one of the most fascinating castles in Piedmont thanks to its labyrinth of hedges (the second largest in Italy), the richly furnished and decorated rooms and the museum of eighteenth century carriages. We are in the Morainic Amphitheater of Ivrea, the crown of hills left behind by the ancient Balteo glacier in its last retreat, the land of Erbaluce, the sweet and golden grapes from which the homonymous white wine is made, but also its sparkling version and the sumptuous passito of Caluso. In this one-day trip we will arrive in Masino for the visit of the Castle after having made a sweet stop in Ivrea, Unesco Heritage as a 20th Century Industrial City, famous for Olivetti and for the Historic Carnival with its Battle of Oranges. We will stop in fact on the Lungo Dora riverbank, at the historic Pasticceria Balla, which holds the recipe of the ’900 cake, a delicious sponge cake with chocolate cream that is definitely worthy of its fame. For lunch we will be welcomed in a typical restaurant at Lake Candia, a small lake of glacial origin with a peaceful and romantic atmosphere. 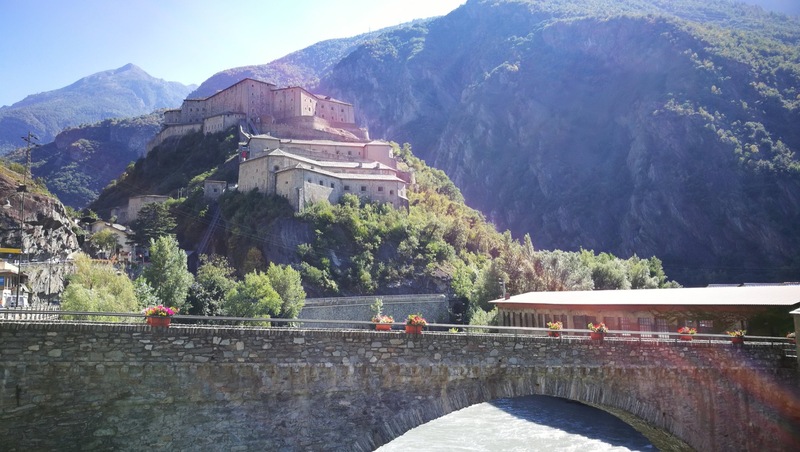 Then we will have the opportunity to observe from above the Dora Baltea river that crosses the glacial moraine to Mazzè, near the homonymous Castle, listening to the story of the fierce queen Ypa. Finally, we can visit a producer of Erbaluce in its various forms, and between a walk in the vineyard and a glass of sparkling wine or a glass of passito we will taste local products before returning to Turin by minibus in the late afternoon.